Philippa specialises in advising on all types of corporate and commercial transactional matters and became a partner at Joelson in 2012, later becoming Managing Partner in 2018. Philippa’s main practice areas include acquisitions and disposals, MBOs, AIM work and company reorganisations as well as company law, shareholder matters and commercial agreements. 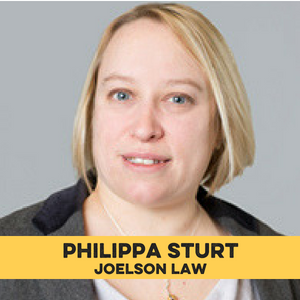 Philippa focuses particularly on investments and fundraisings in early stage and growth businesses as well as shareholder arrangements. In particular, she has acted for a number of start-up businesses in the food and beverage, and FMCA sectors.